Who says you can't have a sandwich for breakfast? 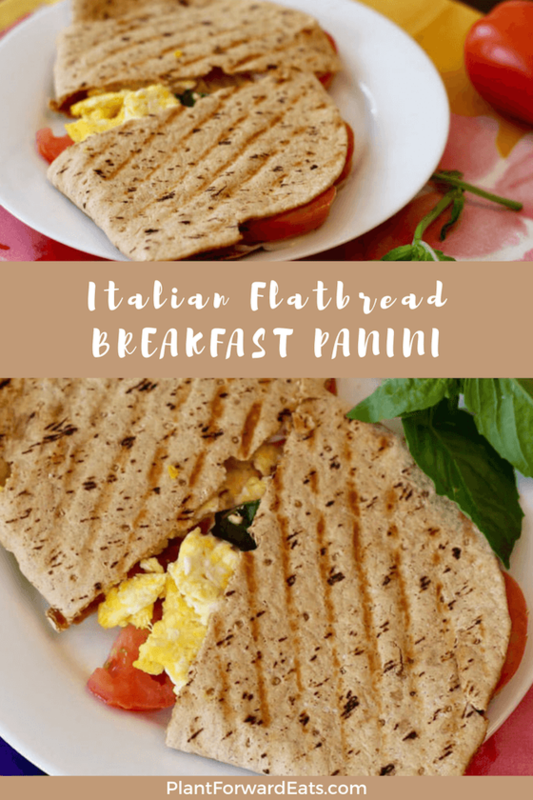 This Italian-style flatbread Panini marries fabulous flavor with quick cooking for a meal that's ready in no time. I'm not one of those people who ever skips breakfast. As a registered dietitian, I know the importance of starting the day with a nutrient-packed meal. And on a personal note, I would get hangry really, really fast if I didn't eat till lunchtime! This breakfast is one of my favorites because it feels fancy, yet is super simple to make. 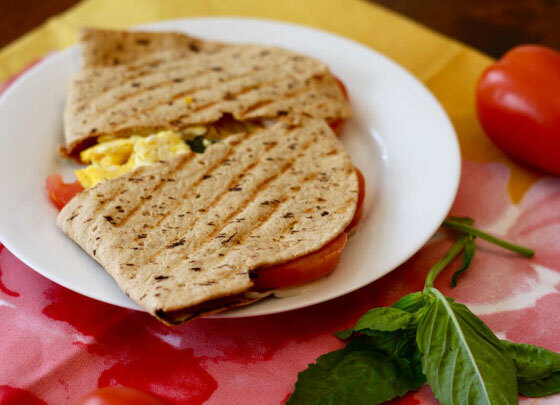 It features protein-rich eggs and mozzarella, fiber from flatbread and tomatoes, and a burst of fresh flavor from basil. If you don't own a Panini press, no problem! You can use a cast-iron grill pan, pressing the lid of a pot on top of each side of the sandwich to form grill marks. Ready to make this sandwich? I can't wait to hear what you think. Preheat Panini sandwich press. 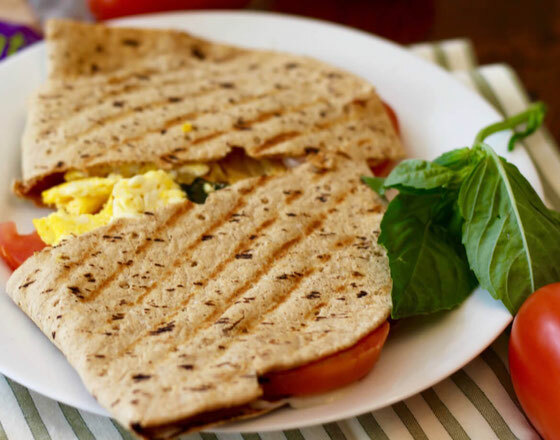 Fold flatbread, and place on sandwich press. 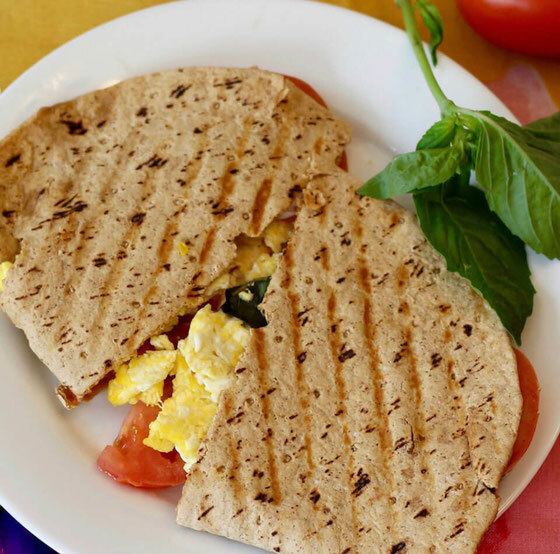 Fill with eggs, mozzarella, tomato slices, and basil. Grill sandwich on Panini press until cheese is melted and the sandwich is hot. Cut in half, and serve immediately. Makes 1 serving. What are your thoughts on this topic? What are your favorite sandwich ingredients?